Valentine's Day is traditionally a day for expressing our love for our husband or wife or the person we are dating, but it is also a wonderful opportunity to have fun with expressing our love for our grandchildren! So, when I found a Valentine Count-down printable on Pinterest, well, I had to share it with you! Just follow this link and you'll find the free printable which you can use to make your own Valentine's Day count-down! 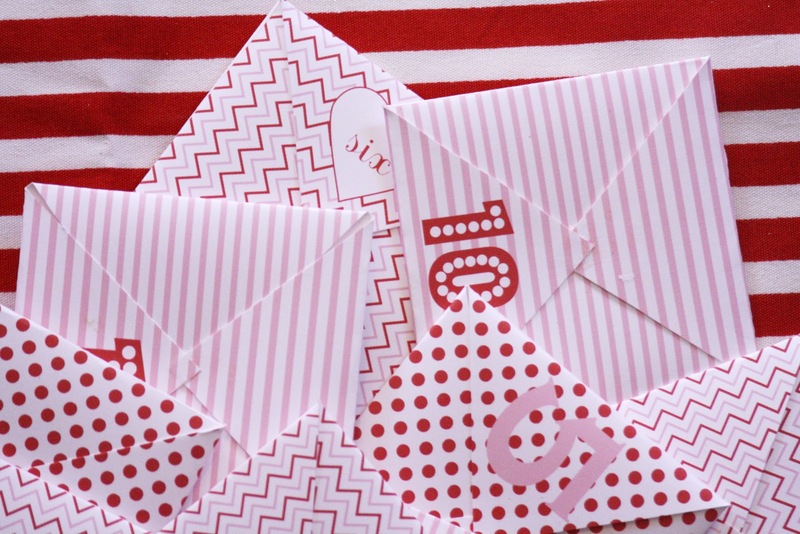 Print out your envelopes and then think of fourteen fun things your grandchildren can do as they count down to Valentine's Day! I love ideas like making cookies together, working together to make Valentines for their friends, writing them a personal note as to the things you love about them and ideas for doing things together which they love - painting, drawing, cooking, playing outside, playing a game . . . these are just a few of the ideas you could use! So, what might you write inside your Valentine's Day Count-Down for your grandchildren? Have fun making your count-down and then surprise and delight your grandchildren for fourteen days as they discover each day a way you thought about your love for them!